Larebo also refers to the Oromo as nomadic pastoralists in Amharic, an expression that is often used by urban Amhara elites to demean those on the peripheries. 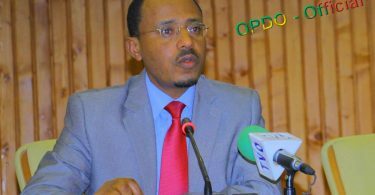 He dismissed Oromo history as political fabrications created by the Germans, suggesting that the Oromo in Wollega has little in common with Oromos in Bale, Arusi, or Hararge. The curious exchange quickly drew the ire of Oromo activists. It is now a subject of contentious debate on social media. Larebo is an associate professor of history at Morehouse College in Atlanta, Georgia. He has long been a darling of right-wing Ethiopianists, who to this day, refuse to acknowledge the existence of a multi-ethnic, multilingual and rapidly changing country. Larebo, a member of the Kambata ethnic group, along with his many Ethiopianist fans, believes that the Oromo, Ethiopia’s single largest majority, are expats who are not indigenous to the Horn of Africa region. It is not a new thesis. It borrows from the blatantly anti-Oromo propaganda written by court historians in the 19th century. Chief among this crowd is a certain Abba Bahrey, whom Larebo casually invokes in a recent interview with the Virginia-based opposition outlet ESAT. 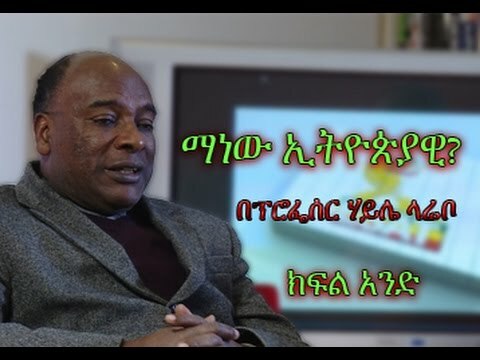 Like Larebo, ESAT is not new to accusations of anti-Oromo bias. Nearly seven years after its debut, the network struggles to earn the trust of the Oromo. That is despite starting an Afaan Oromo program last summer. Ethiopia is a land of endless contradictions and historical contests. It is remarkable that, even in 2017, the question of just “who is Ethiopian” remains debatable. With that (brief) context, here is how social media responded to Larebo’s falsification of historical records. Tedla Woldeyohannes: Let’s just hug it out! Dr. Haile Larebo is telling the history that is documented and professional. You crazy politicians please try to be rational and answer in a rational way as he did. We have been bombarded by throne-craving and egoistic activists and politicians. Now history is being narrated by a professional historian. Interesting that you want to show up as mediator/solicitor when it comes to the time Oromo falls victim of rogue Habsha’s larceny. Aren’t you the one horn to distort Oromo/s history?